Spoon rests are essential tools for any kitchen to keep your counter tops clean while you cook. 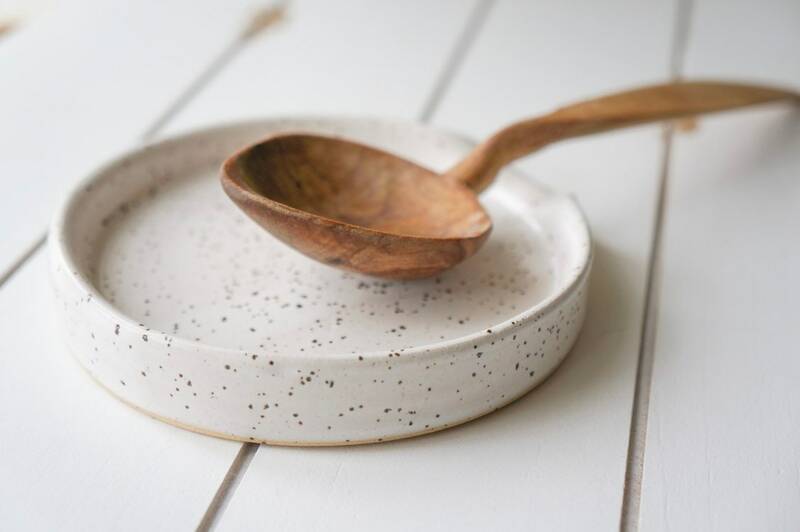 This minimalist spoon rest is hand thrown on the potters wheel out of speckled stoneware clay. 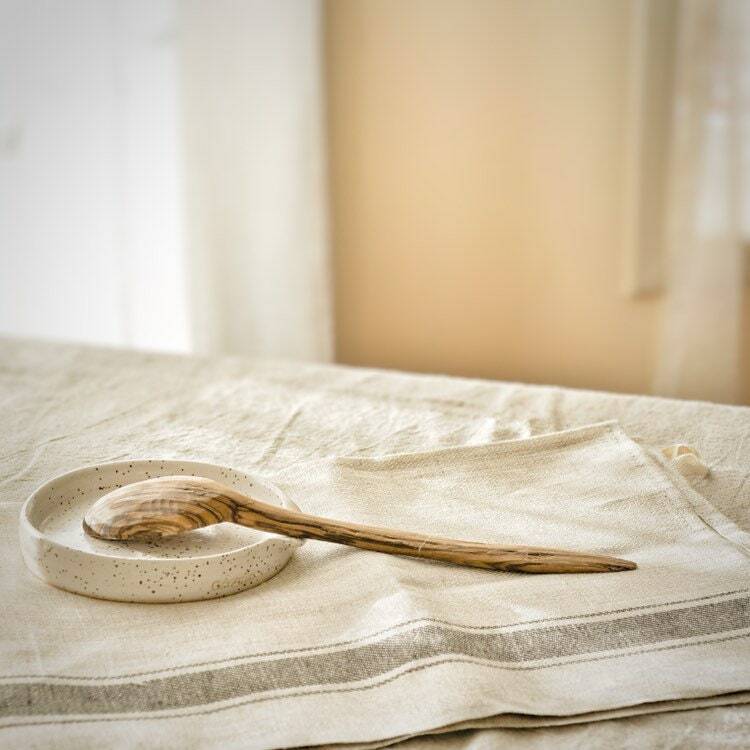 The lip on the side is hand formed while wet to allow the neck of the spoon to securely rest on the holder. After the first firing it is dipped into satin white glaze and fired again to vitrify. 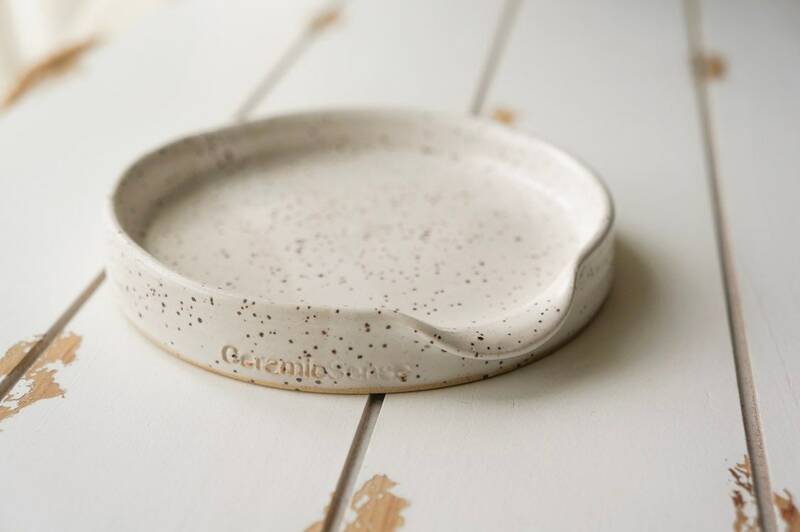 Every piece is designed to be unique- no two are exactly alike- making each one a little work of art. 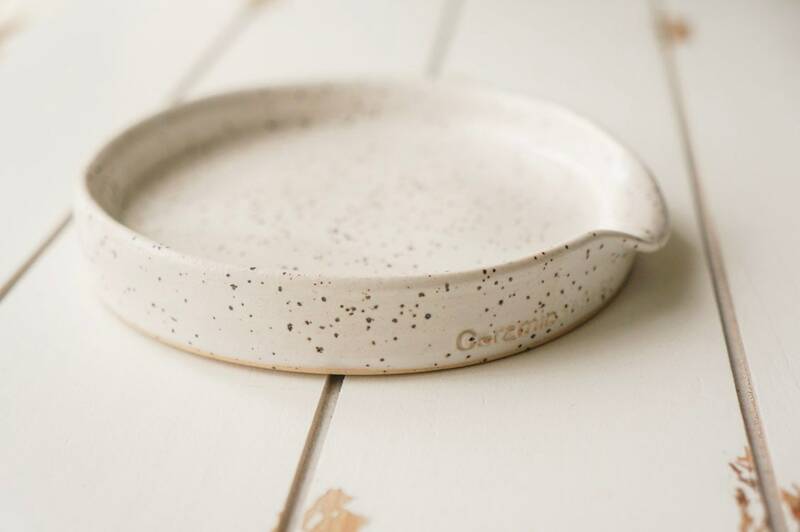 This functional piece makes a wonderful foodie gift for men or women, chef gift or housewarming gift. 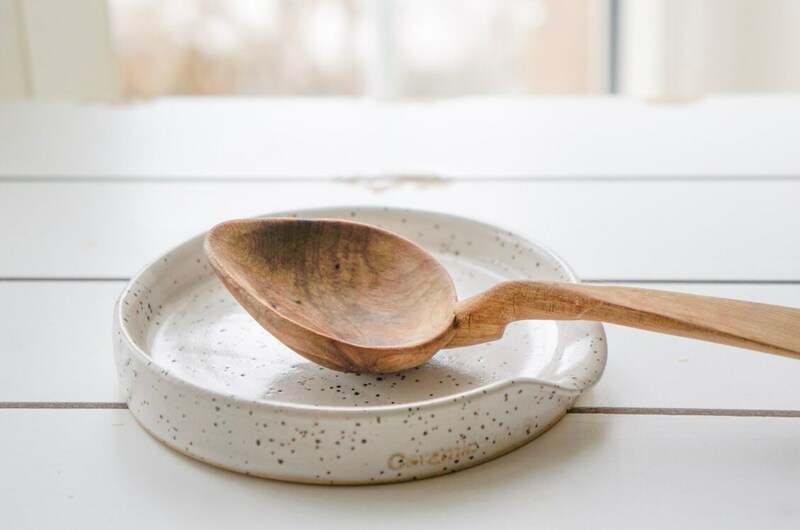 It is great for anyone who likes farmhouse kitchen decor or rustic kitchen decor.